On June 13, 2017, the elected Santa Rosa Junior College Board of Trustees voted 4-3 to immediately begin negotiations with construction trade unions to develop a “Project Labor Agreement” (referred to as a “Project Stabilization Agreement”). College officials and their lawyers will negotiate the agreement with union officials and their lawyers. 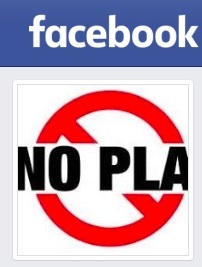 Construction companies (the third party to the agreement) will not have a role at the negotiating table. Construction companies must sign the Project Labor Agreement (PLA) if they work as a general contractor or subcontractor on a project on which the agreement applies. These agreements are 20-60 pages of contract conditions. 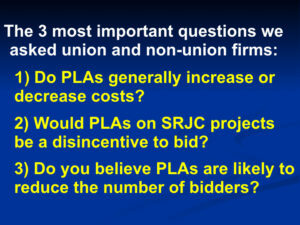 PLAs also subject signatory companies to provisions of multi-employer, multi-year master labor agreements for individual unions. Under a Project Labor Agreement, companies must obtain their trade workers and apprentices from unions, pay employee fringe benefits to union-affiliated trust funds, and require workers to pay union dues and initiation fees. Obviously the point is to give unions control of the work and eliminate bid competition from general contractors and subcontractors whose employees are not represented by a union. 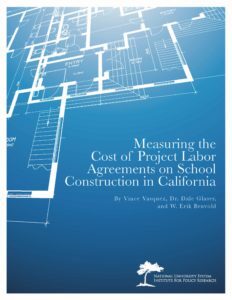 As shown through studies, anecdotes, and common sense, that reduced competition often increases construction costs.